One of the most popular surgical approaches for weight loss is the Roux-en-Y gastric bypass. This procedure involves modification of the stomach so that only a small amount of food can be eaten at one time. A small pouch is created at the top of the stomach, effectively shrinking the volume of the stomach to one ounce. Next, a Y-shaped section of the small intestine is attached to the pouch to allow food to bypass the duodenum (the first segment of the small intestine), as well as the first portion of the jejunum (the second segment of the small intestine). Patients lose weight because this small pouch restricts the amount of food that can be eaten comfortably and allows less nutrient absorption due to the intestinal bypass. If you would like more information about Roux-en-Y gastric bypass in Massachusetts and Rhode Island, along with other weight loss surgeries at Southcoast Health, find a doctor or weight loss center near you. One year after surgery, weight loss can average 70% of excess body weight. Studies show that after 10 to 14 years, 60% of excess body weight loss has been maintained by patients. 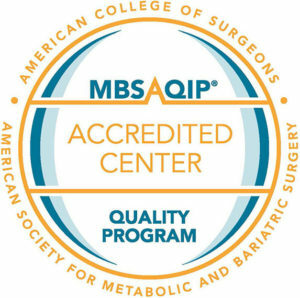 Patients who undergo a weight loss surgical procedure often experience complete resolution or improvements of their co-morbid conditions including diabetes, hyperlipidemia, hypertension and obstructive sleep apnea. All of your care before, during and after gastric bypass surgery is coordinated by a team of health professionals at Southcoast Health. Our team first performs a preoperative evaluation that helps select patients who are both medically and psychologically suited for our surgical program. At this time, all of the purposes, implications, risks and benefits of bypass surgery are carefully explained. Then, you will receive a complete medical screening by the surgeon and an internist, as well as an evaluation by one of the team’s psychologists. Patients are also required to participate in three preoperative support group sessions to learn more about the physical and psychological implications of gastric bypass surgery. Each patient will undergo counseling with the team dietitian to discuss their present dietary habits and how to best prepare for their changed nutritional needs following surgery. Patients will periodically meet with the surgeon throughout the preoperative period to monitor progress and have detailed discussions about the surgical procedure. The Southcoast Center for Weight Loss provides many bariatric surgery options, including Roux-en-Y gastric bypass, in Fall River, Dartmouth, New Bedford and Wareham, MA, and surrounding areas.